As an AbbVie pharmaceutical company focused on treating cancer and immune-mediated diseases, Pharmacyclics offers the flexibility and nimbleness of a start-up, together with the backing of a major pharmaceutical brand. We met as they were in major growth mode, with a goal of expanding their workforce by 30% while developing several new therapeutic approaches. We developed two distinct concepts to demonstrate how they offer the best of both worlds, as well as help them meet their aggressive business goals. 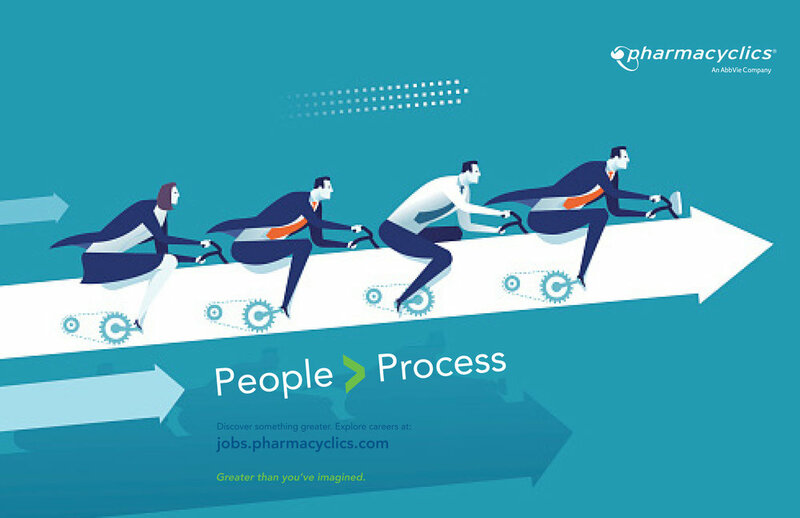 The “Greater Than” direction aligns with Pharmacyclics’ focus on not letting bureaucracy and red tape get in the way of truly incredible achievements. The messaging highlights the company’s culture of openness, autonomy, and collaboration, as well as their passion to change lives. 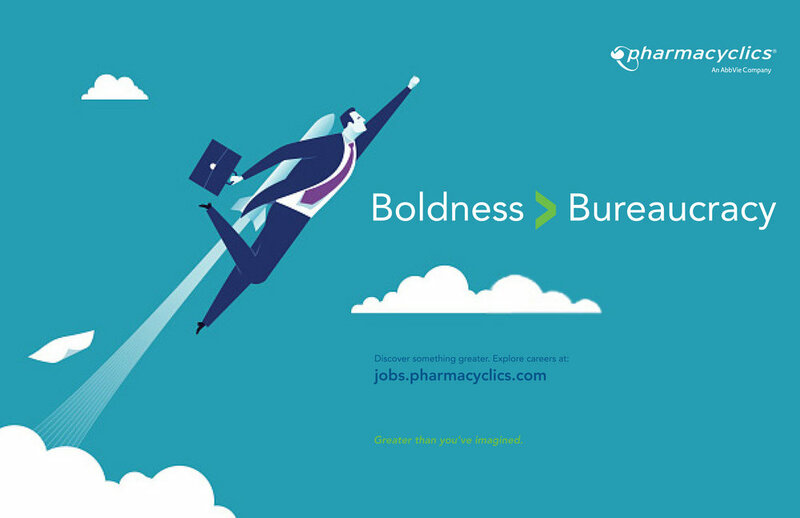 Using the familiar “greater than” symbol, this approach communicates Pharmacyclics’ core values and positions it as the ideal place for visionaries who want to make a difference. Our second concept centers on Pharmacyclics’ unique working culture, or “Mode of Action,” which provides resources without the bureaucracy and creative limitations, offering an unmatched level of freedom and empowerment to change the way cancer is treated. In essence, the company needed people who would share, embrace, and live out its Mode of Action. This direction was ultimately chosen by the client and built into the new website.